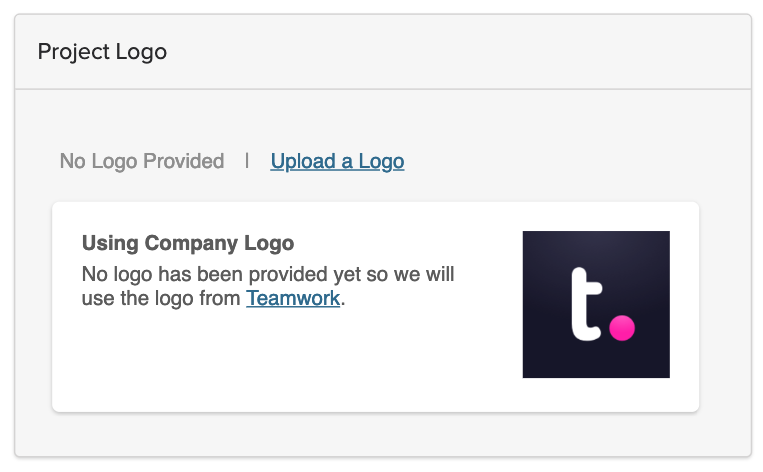 Within Teamwork Projects, you have the option to upload a specific logo for each individual project, instead of using the site logo or associated company logo. Note: Each of your projects will use your site logo by default. If the company associated with the project has a company logo, this will be used for the project. 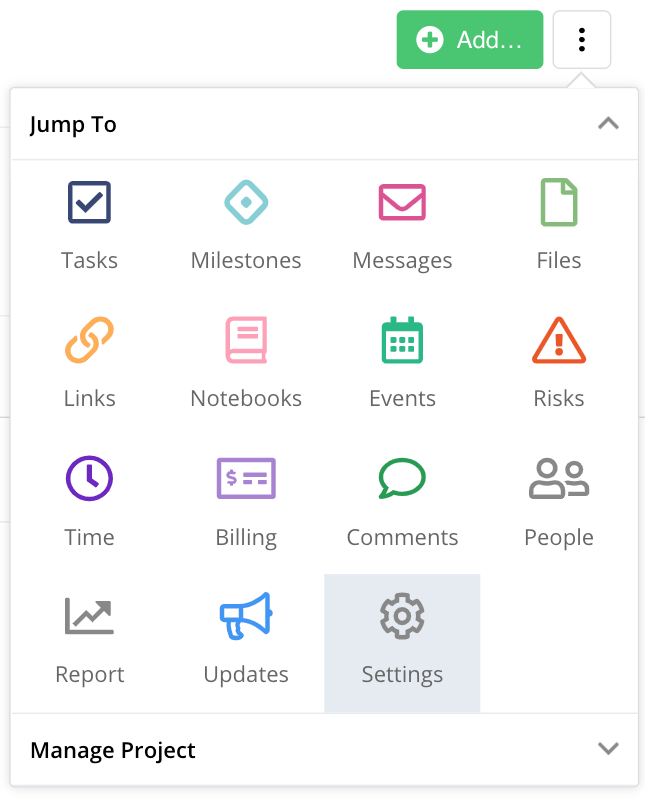 Access the project settings by clicking the options button (three dots) to the right of the project section. You'll see the project logo option in the general settings area. If you click the Upload a Logo link, you'll see an option to browse your local drive for an image. It can be GIF, PNG or JPG file type, with an RGB profile (CMYK images are not supported) and will be resized to a width of 300 pixels. It's best to have an image file that's not too much bigger to speed up the upload. Once you've added a project logo, you'll see it in the column on the left of the project overview area. You can update or remove the project logo anytime after uploading it by going back to the Upload Logo option.